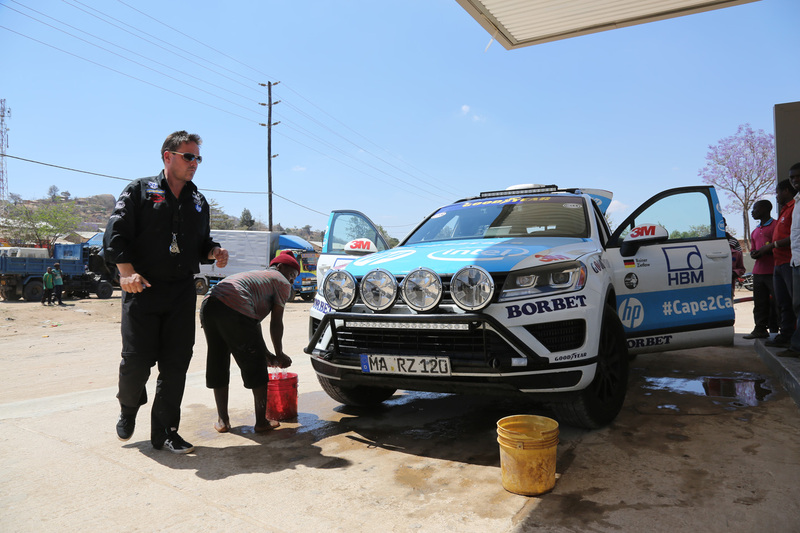 It has been a long day travelling through Tanzania since our slow border crossing this morning, but the Touareg and our team of three are all in good shape. Central Tanzania has turned much flatter and more desert-like, empty and sparse than this morning's hilly, greener more populated areas. Just when I was starting to think that Africa's roads couldn't throw any new surprises at me, the Tanzanians have chosen to add large speed bumps throughout all their main road network. It seems like every time we get up to speed, it's heavy braking down to walking speed to get over the next vicious 20-30cm high bump. 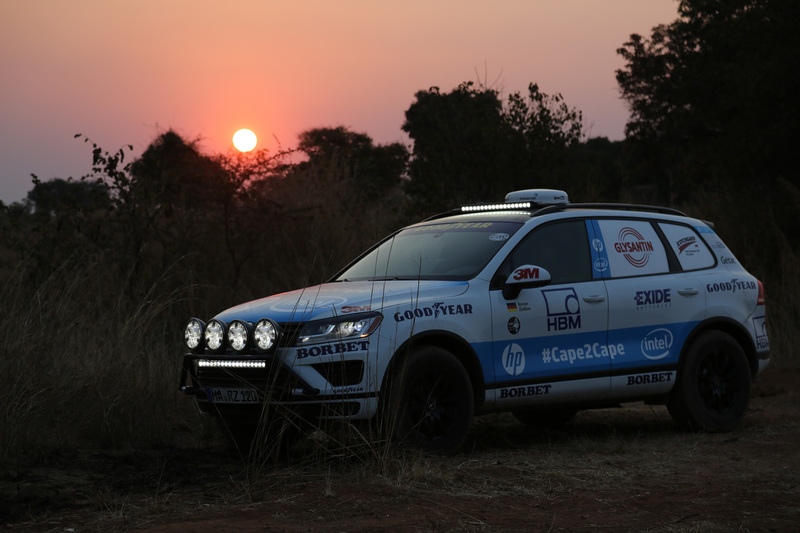 Bad news for our average speeds, bad news for the added demands on the Touareg's brakes and suspension and particularly bad news for whichever one of the team is trying to sleep in the back at the time. In the middle of the day, we visited the stunningly-located hilltop town of Iringa. We made our third fill-up of the fuel tanks there. Filling our huge auxiliary tanks in the boot means climbing on top of the rear wheels to get to the filler caps on the top of the Touareg's roof. 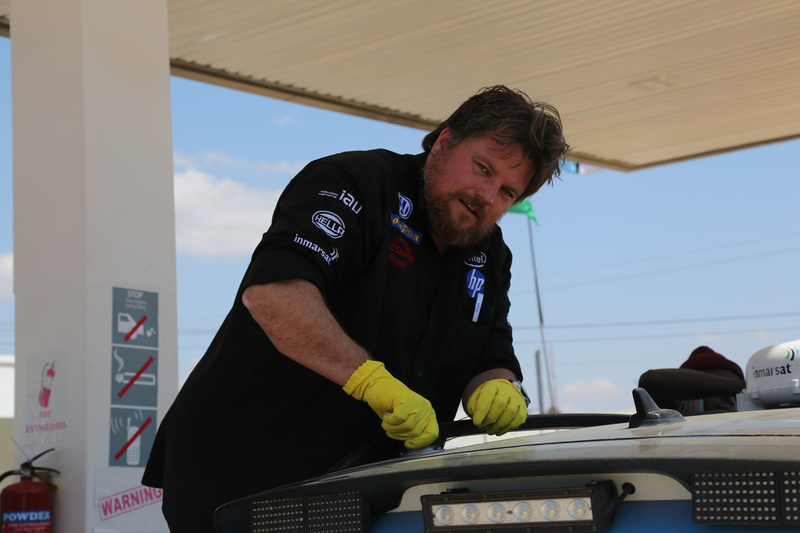 That tends to surprise the fuel attendant, so we end up doing it ourselves. Iringa has other memories for Rainer and Marius though. 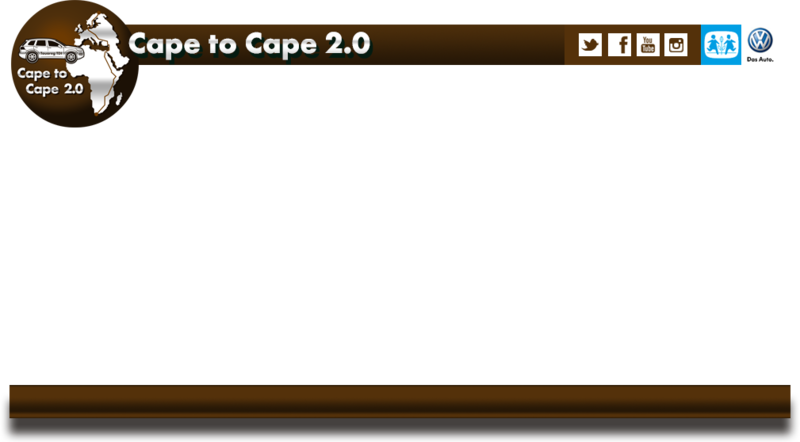 It is just outside the town that the small accident happened last year which delayed the 2014 Cape to Cape challenge by 13 days. 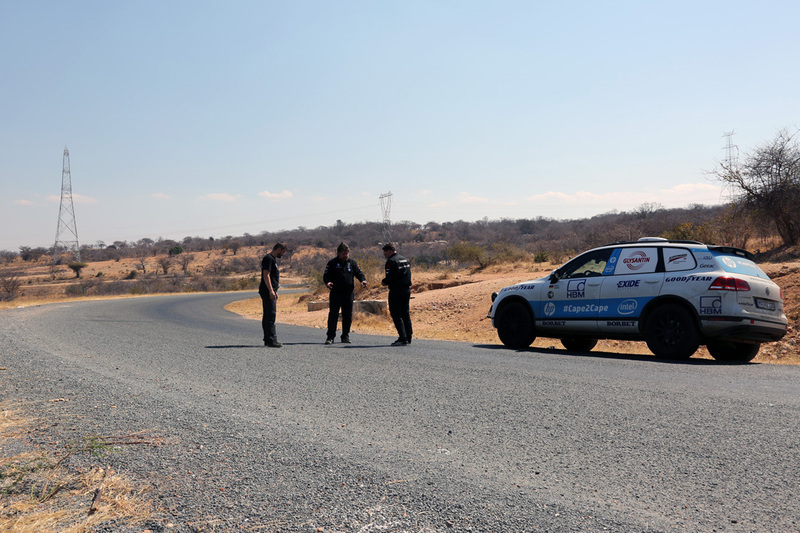 As it is where the Touareg was first recovered to for initial damage investigations, the team had to spend some unplanned time there this time last year. The memory of this accident clearly still hurts for Rainer. 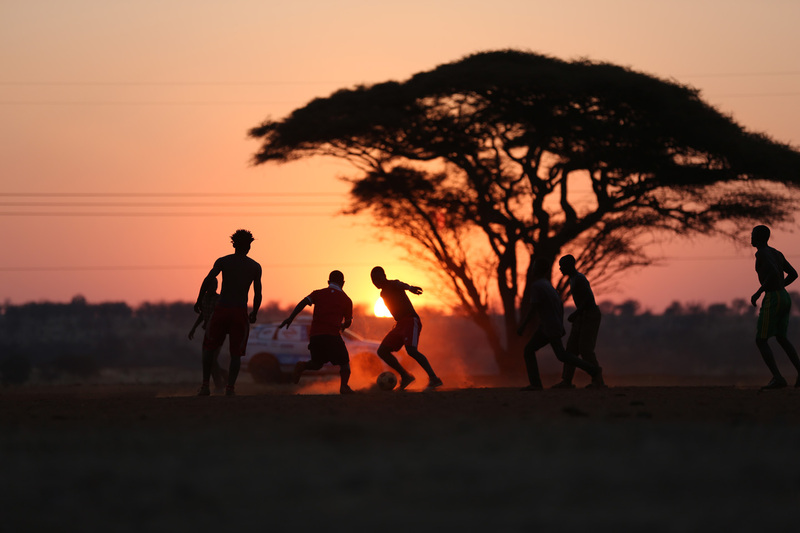 Stopping to see the site is a good reminder for all of us of just how quickly your luck can change on these African roads. As the sun sets on Sunday, we are pushing on fast towards the Kenyan border. We are again looking good on our overall timings, and our plan is to reach the border tonight, around 01:30 Monday morning. I'm looking forward to visiting Kenya, particularly as it is where we will cross the equator later on in the small hours of tomorrow morning. So, all being well, our first blog update will come from Kenya and from the Northern Hemisphere tomorrow morning.